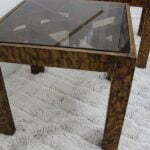 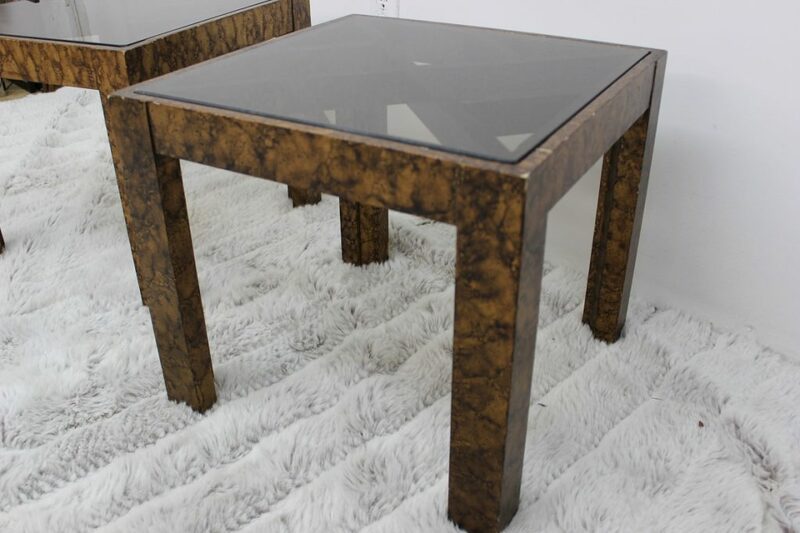 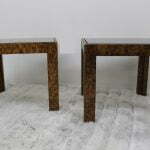 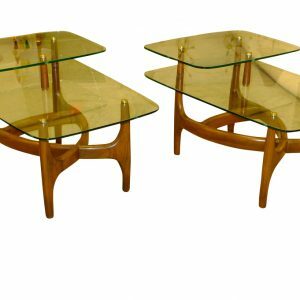 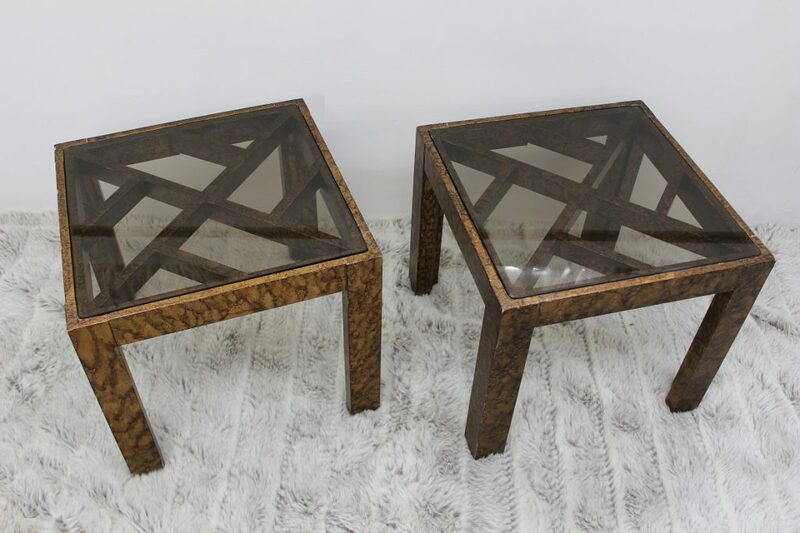 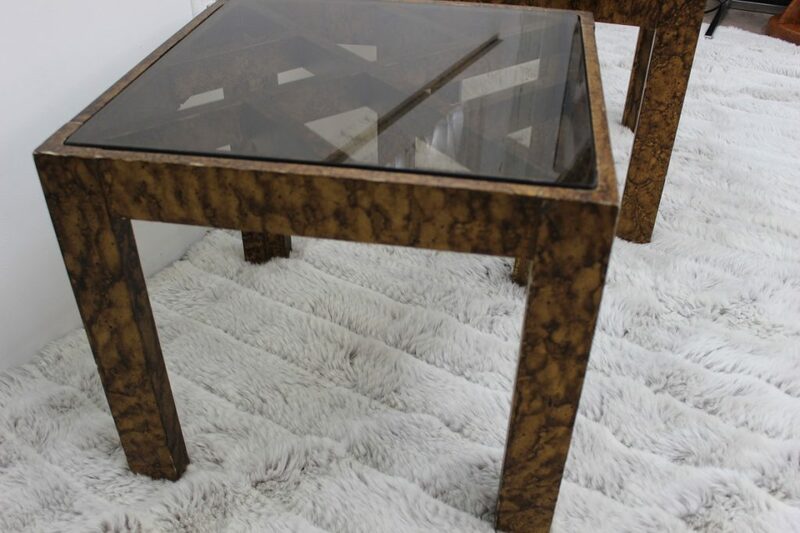 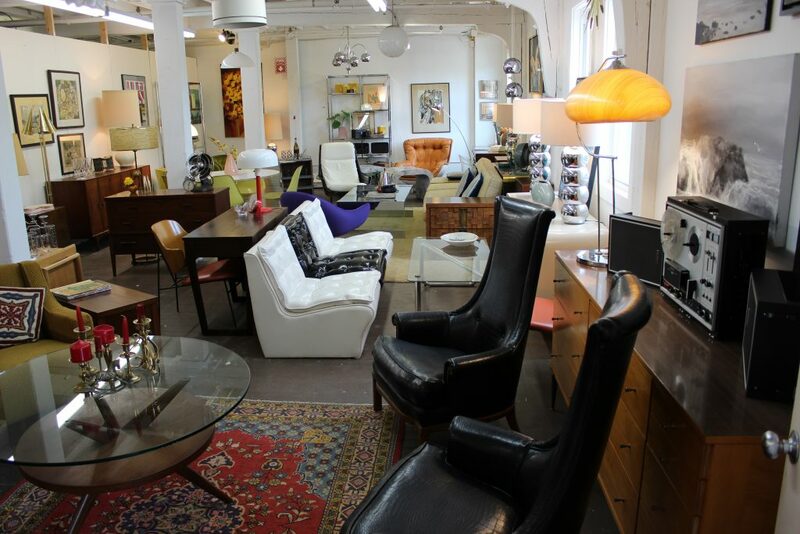 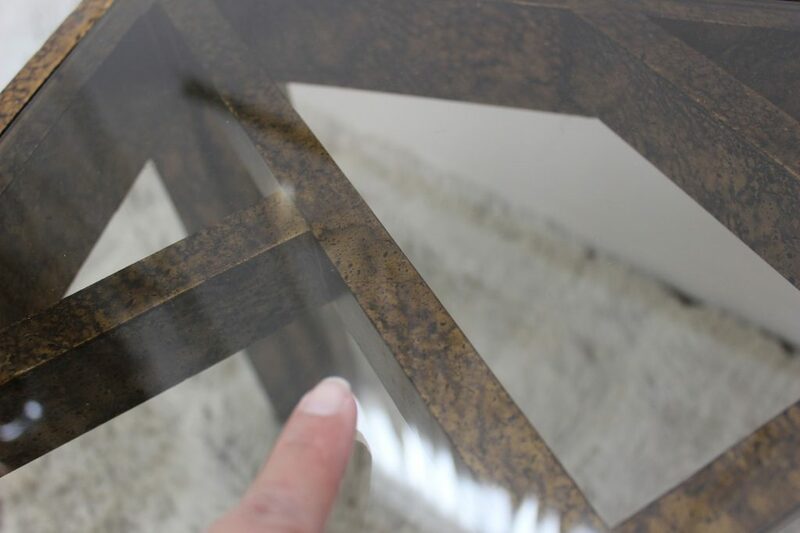 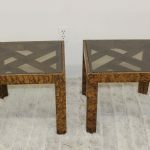 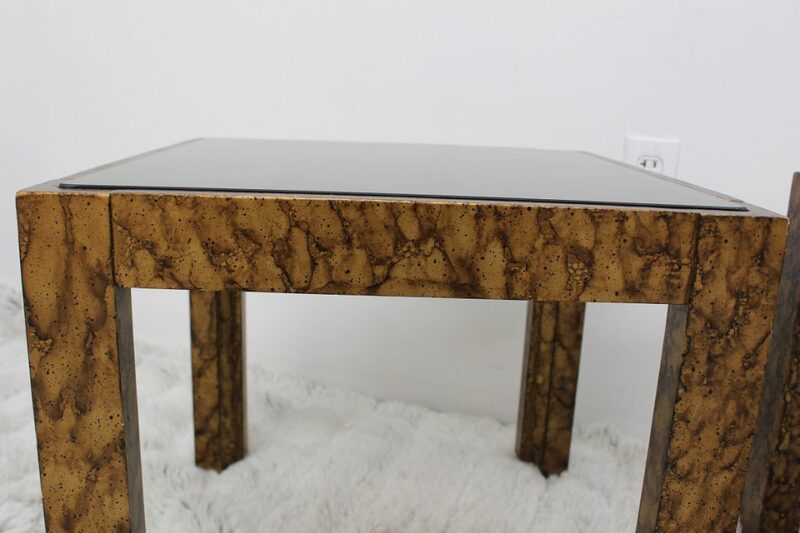 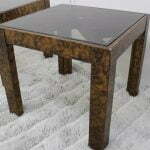 Take a look at these beautiful square tables, coming to you from the 1970’s with beautiful glass tops. 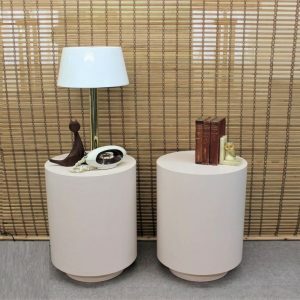 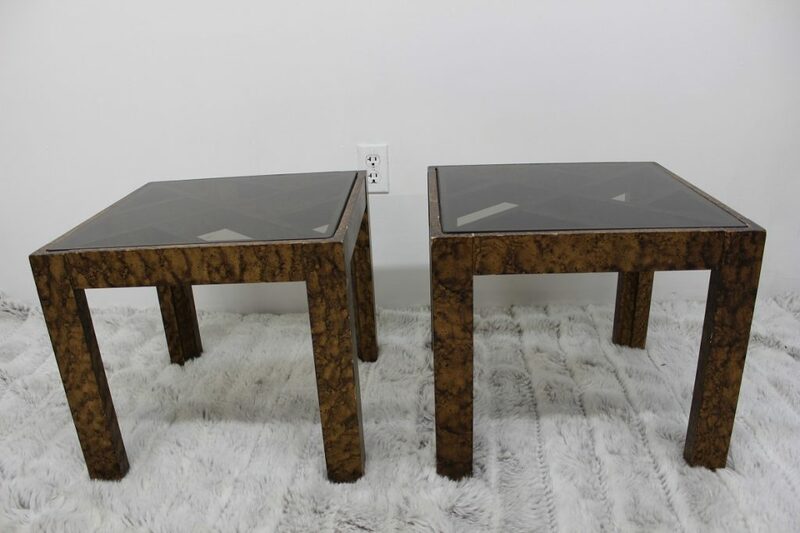 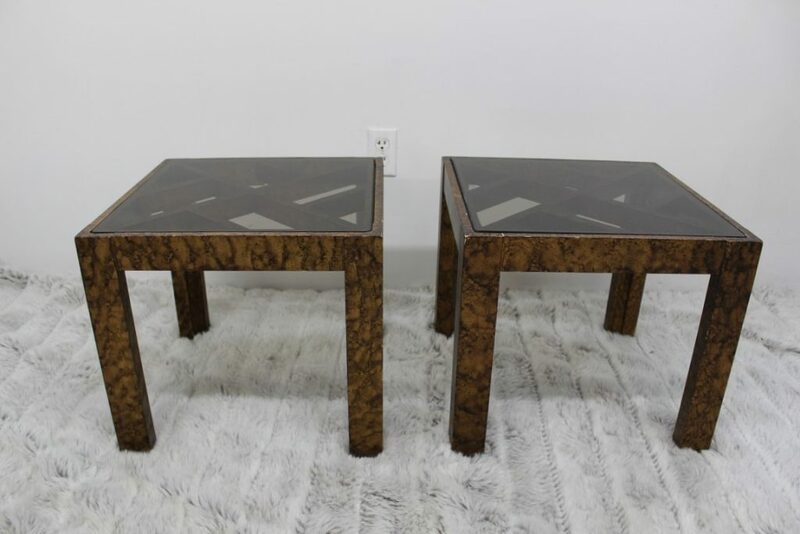 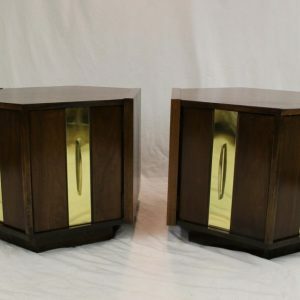 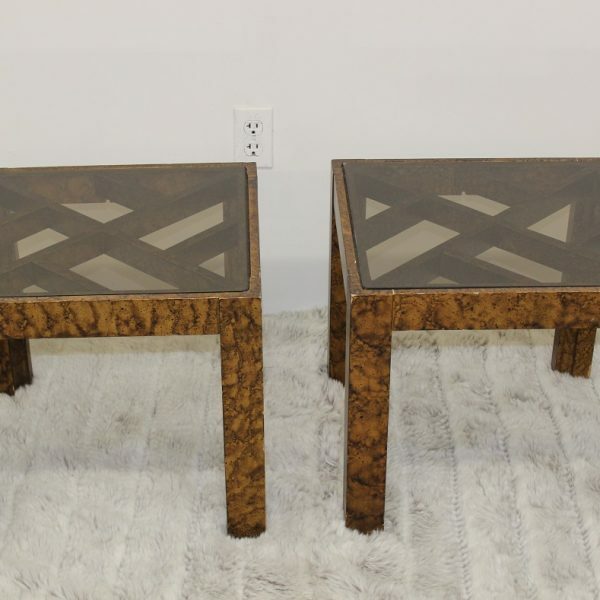 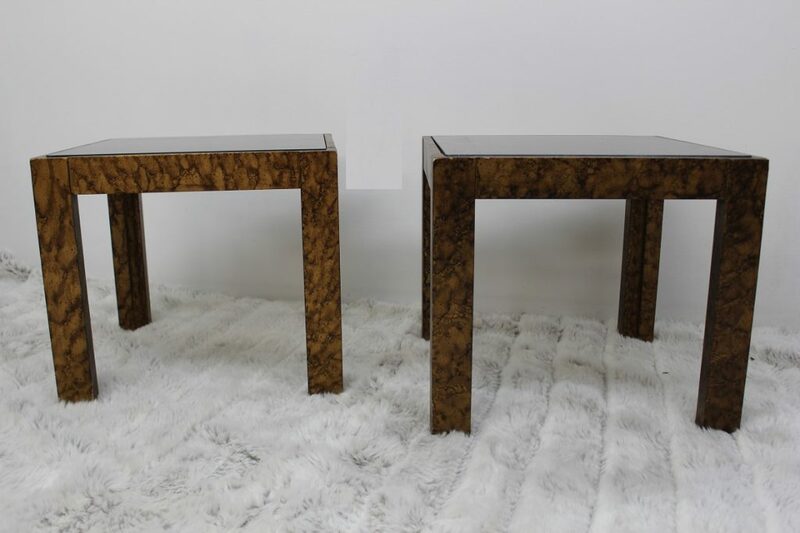 These super rare pairs of nightstands / end tables. 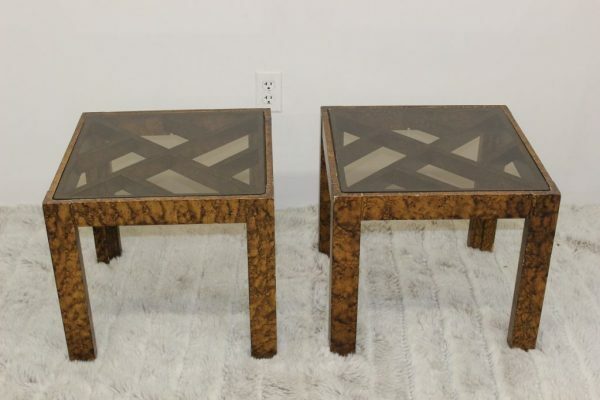 They have a unique pattern and design, and they are very well made. 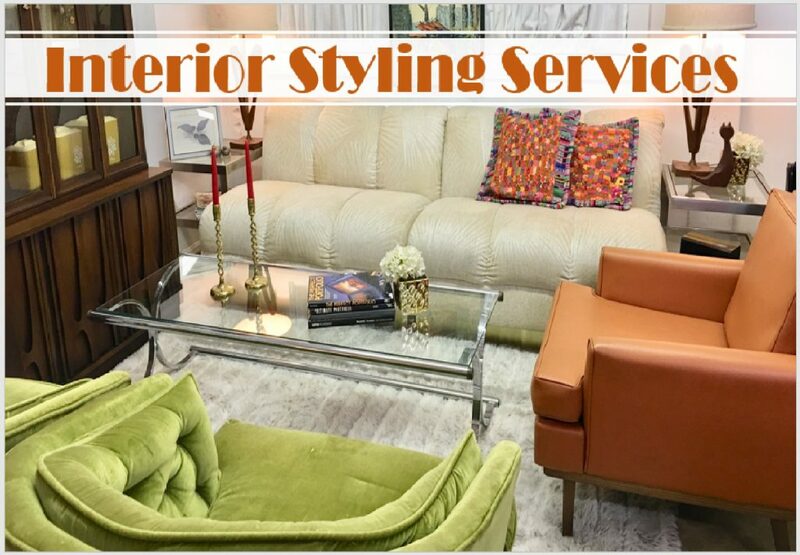 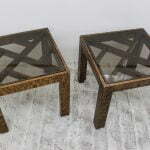 Even though they are solid their design is very light and airy and for sure they would make your place look a lot larger. 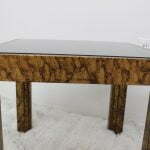 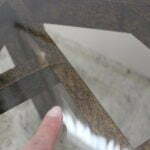 They measure 16″ high, 18″ long, 18″ wide. 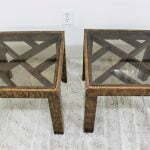 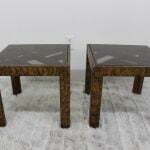 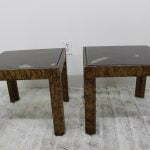 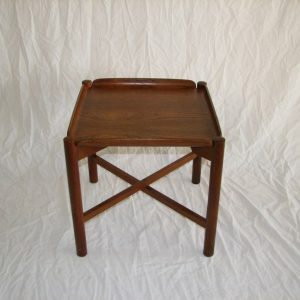 As you can see they can be used together as a coffee table or separately as end tables. 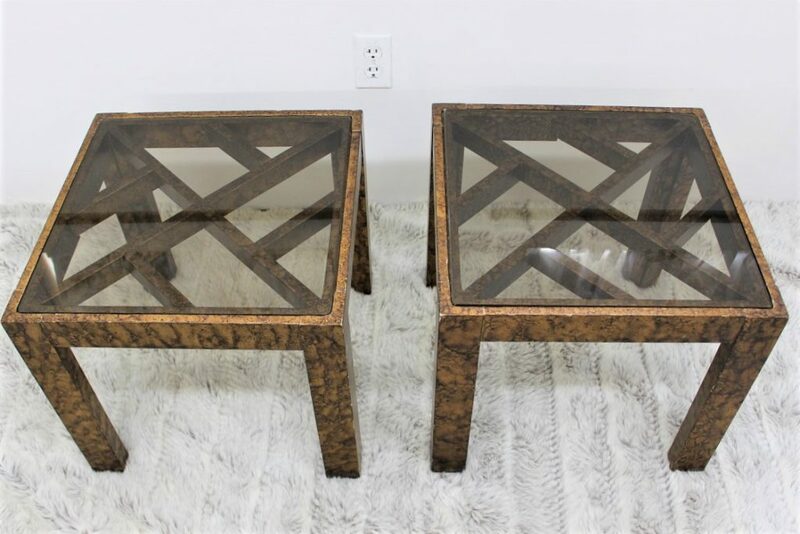 Perfect for an apartment or condo!